Here comes a most interesting document which tells the journey of a woman working for *NORDAG” in Oslo, Norway. Ruth Balzer was born 1917 in Berlin Schöneberg. 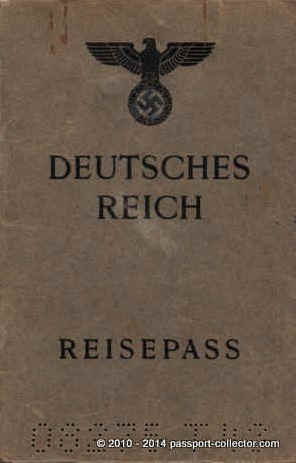 Her work book (Arbeitsbuch) shows her professional life. The first entry is from 1936 were she was a apprentice (clerk) for 2 years at the company of Bruno Mädler, Berlin. 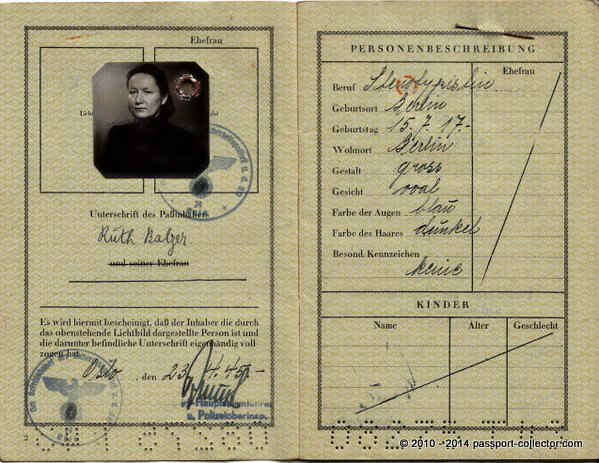 Then working with Mädler for another year till April 1939 before she moved to another company for one and a half year. 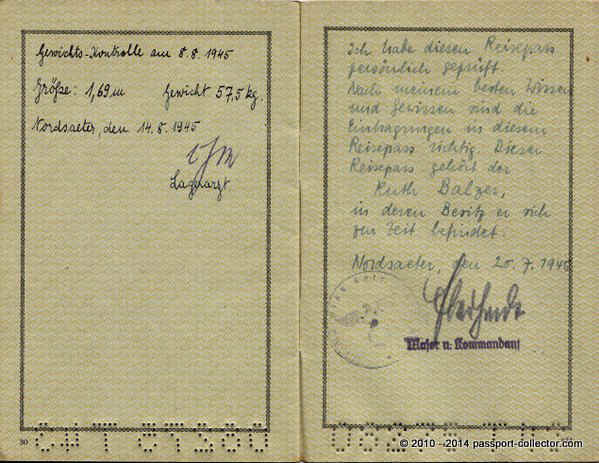 On 15 April 1941 she started her employment with NORDAG (Nordische Aluminium Aktiengesellschaft) in Berlin. She was then in the same month sent to the NORDAG headquarters in Oslo, Norway to work there also as a clerk. 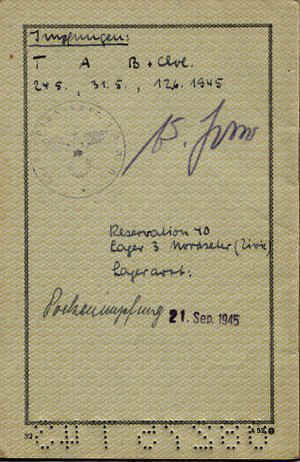 Here employment ended on 30 June 1945. *NORDAG was an undertaking during World War II, which had the objective to develop the aluminum industry in areas controlled by Germany. The German company Nordische Aluminium Aktiengesellschaft (Nordic Aluminium corporation), a short form Nordag, was created in late 1940 in Berlin. Capital for the establishment of the company came mostly from the German Reichsluftfahrtministerium to produce airplanes . Later in May 1941, it established a Norwegian subsidiary A / S Nordag. 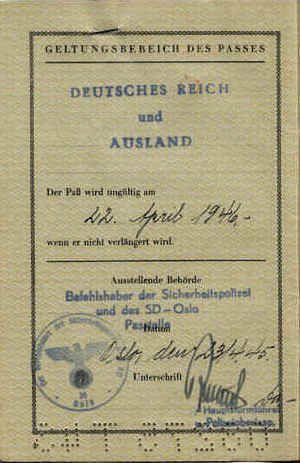 Her passport was issued on 23 April 1945 in Oslo by a SS-Hauptsturmführer and commander of Security Police (SD) and was valid for one year. 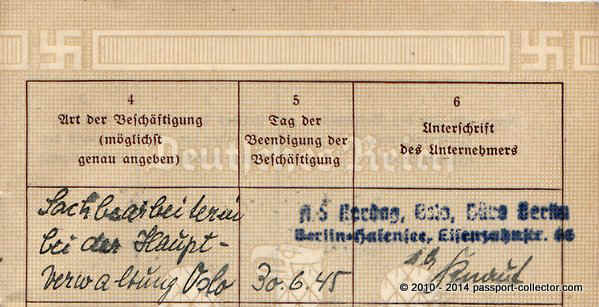 As a German she was interned for few month at a camp in Nordseter. Look at the entries on page 30 to 32. 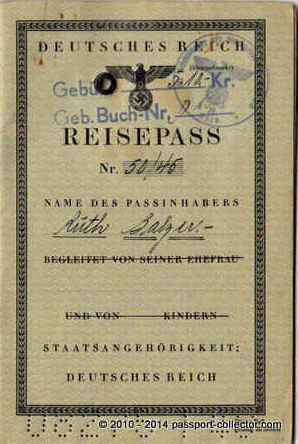 A very rare passport! A camp MD stated her height and weight at page 30 and another Major confirmed her identity and entries made in her passport.